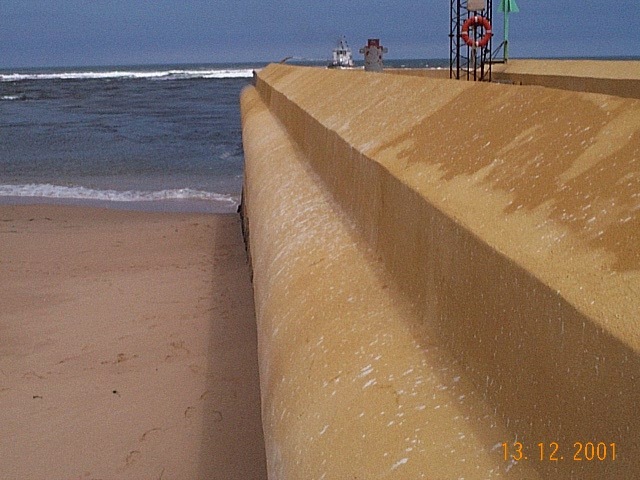 KALMATRON® KF-SEA is an admixture to regular concrete mixes containing unwashed sea sand and sea gravel where hydration of cement may be provided with sea water as well. 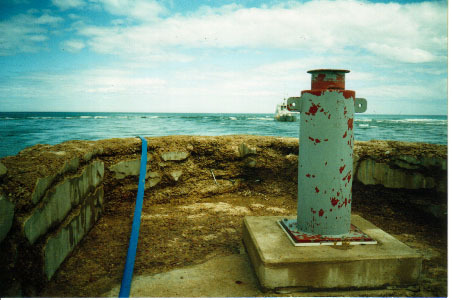 This is an inorganic cementitious compound that discharges the electrochemical potentials of the most sea salts, which are aggressive to the concrete structures. • KALMATRON® KF-SEA performs best in the same environment from which the raw materials were taken. • Used for enhancing concrete and reinforced concrete in centrally loaded foundations, pillars, walls, columns, etc. Not for bending elements with thickness less than 450 mm. • Facilities for Industrial and Military hazardous waste, dams, tunnels, heavy traffic roads, ramps, seaports, etc. • Used with natural and unwashed sea fillers for higher durability than any known HP concrete mixes. • Absolute resistance to salt corrosion of concrete structure, prevention of metal anchor and rebar rusting as well. • Highest liquid impermeability, resistance to vapor transmission, and advanced as radiation shielding material. • Reduces exothermic heat up to two times. • Highly resistant to chemical corrosions and Freeze/Thaw cycles. • Stable resistance to core efflorescence. 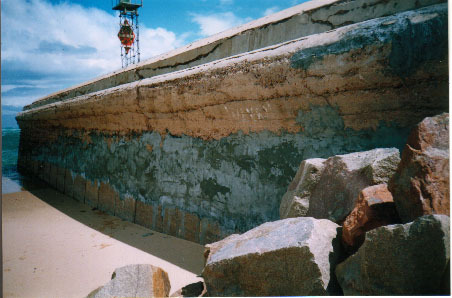 • Mortars with KF-SEA are very adhesive to concrete and granite. • Absolute independence from suppliers of sand, gravel, and water. Take them from the sea shore. • No other chemicals applied with KF-SEA. 2,500 Kg/m3 to 3,000 Kg/m3 makes KF-SEA virtually an artificial rock. admixture, or the so called "Ironing of Concrete". 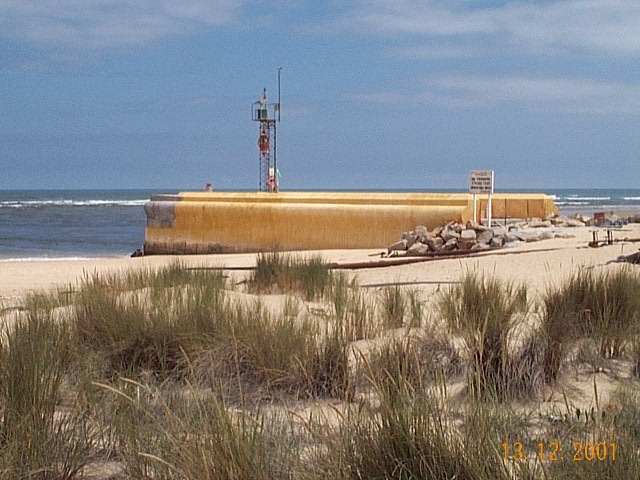 This light house was repaired with KF-SEA added to the concrete mix made with sand, gravel and water taken from the shores of the Tasmanian Sea. Before repair, view from inside. Before repair, seen from outside. After repair by KF-SEA the structure was coated with KF-F to protect it from sun heat and wind influences.